The outlet that I went to is located at Viva Home Shopping Mall, a place where I've passed by countless of times to send a dear friend home but never been inside ever. And so, the visit to Facekara has broke my virgin visit to this driven to make your home a more cozy place. Also known as the Lounge area, this is where every Thursday from 6pm till midnight will be Ladies Night. Ladies will get to enjoy free 1 cocktail. But the rooms are where I was headed to sing the night away. The VIP and VVIP rooms are equipped with a woofer. Notice the disco ball lights above. haha. The other VVIP room is equipped with a projector. They're surely are the earliest there with Henry aka Clevermunkey outside to make sure nobody misses the turning to our room. The screen selection for songs are touch screen so you don't need to use the remote from far. Anyway, it would be ridiculous to use the remote from where we were sitting. You'd have to squint really bad to see the screen. We also had some delectable munchies to enjoy while our time there. That of course, was my dinner even though it's 9pm. This is fish, so I presume a little deviation of being a fish and chips? They have a few promotions, do check out their website www.facekara.com to know more on their promotions. They also cater for events, dinner, birthday, private party...etc...etc. Hence the big lounge area. Someone had brought to my attention on the negative feedback on the outlet that was posted on foursquare. Not sure how true those allegations are but the time and experience we were there were okay. We had fun, we laughed and we sang. Funniest part I remembered was the video for Foo Fighters' All My Life. They were showing beautiful videos on nature and animals which so does not fit the song. I really LOL when I saw the kangaroos playing with each other during the song. One more thing. In addition to Facekara's promotions, www.mycoupon.com.my will be having a Facekara promotion too! 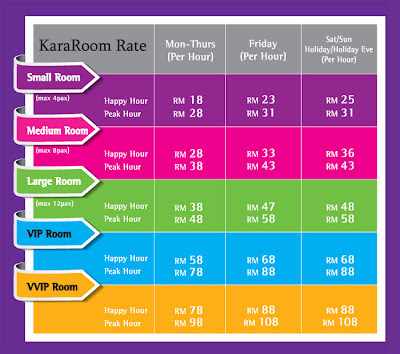 80% off which translates to RM33 of 4 hours singing with 4 drinks for a pax of 4. Normal price is RM160.90. So check out the deal soon if you're planning for a visit to Facekara. That's because it IS new. LOL. Opened in June last year if I recall correctly. Well, different people, different way of releasing stress. oooohhh... I love singing too!! 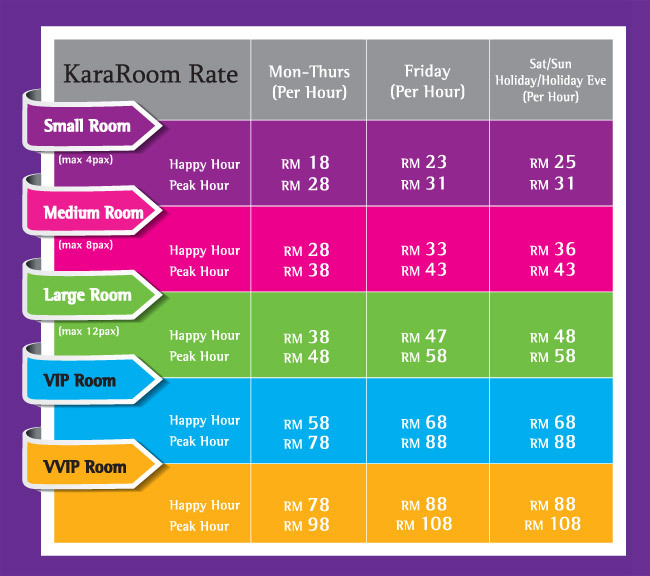 But Ipoh doesnt have much nice karaokes... what do you recommend?